Yellow sapphire is the main gemstone of Jupiter. It can be wear to strengthen Jupiter. Its effect is very high and stays for long time. It is wear in gold ring in first finger of left/right hand. It should wear on Thursday morning. However, you should consult an astrologer before wearing it. If it doesn’t suit you then you might have serious disorder. 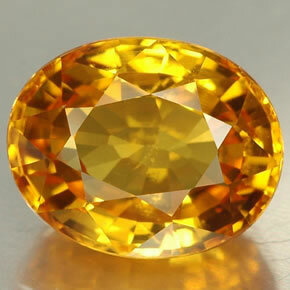 It is beneficial to think on lagan while wearing yellow sapphire. Aries: It increases you luck. You can get fame and respect by wearing yellow sapphire. Taurus: Yellow sapphire affects your age. It is not auspicious for you. You might have healthy issue if you wear yellow sapphire. Gemini: Yellow sapphire controls your career and marital life. You can wear yellow sapphire if Jupiter is very strong in your horoscope. Otherwise, you might face problems in your marital life. Cancer: It controls your luck and job. You can wear yellow sapphire to get success in spiritual work and luck. However, you must have to wear pearl along with it. Otherwise, your digestive system might get disturb. Leo: Yellow sapphire is the planet of your age and education. You can wear it to get success in education and concentration. However, if you’ve stomach problem then do not wear it. Virgo: Yellow sapphire is the owner of your marriage and property. You should take advice before wearing it. Otherwise, you’ll face problem in your marital life. Libra: Yellow sapphire is not favorable gemstone for you. You should avoid wearing it. Scorpio: Yellow sapphire relates with your children, education and success. You can wear yellow sapphire to get success in your life. You can get rid from every children related problems by wearing it. Sagittarius: Your entire life is governed by Jupiter. You can wear yellow sapphire in any situation. However, if obesity increases then you should wear coral along with it. Capricorn: Jupiter is not favorable for you. Do not wear yellow sapphire. Otherwise, you may get defame and accidents. Aquarius: It controls your financial condition. It is not favorable gemstone for you. You must have to avoid wearing yellow sapphire otherwise you might face problems in your marital life. Pisces: Yellow sapphire controls your age, health and business. You can wear yellow sapphire without hesitation. It affects your personality. Remedy: Never wear Emerald along with yellow sapphire. It creates doubt/confusion in your mind. You can wear pearl along with yellow sapphire. Which Planets Are Responsible For Show off ?